Sonya Bradley started with Visit Sacramento in 2002 as Director of Marketing Services. She took the reins as Vice President of Marketing in 2007, responsible for the strategic development and execution of the "Discover Gold" brand strategy for the convention and tourism (trade and consumer) markets. She&apos;s responsible for the development of Visit Sacramento&apos;s strategic business plan; managing marketing strategies, tactics (media buying, direct marketing, website and trade shows) and budget; and overseeing the eight-person marketing team that includes marketing services, tourism marketing, market intelligence and graphic design. 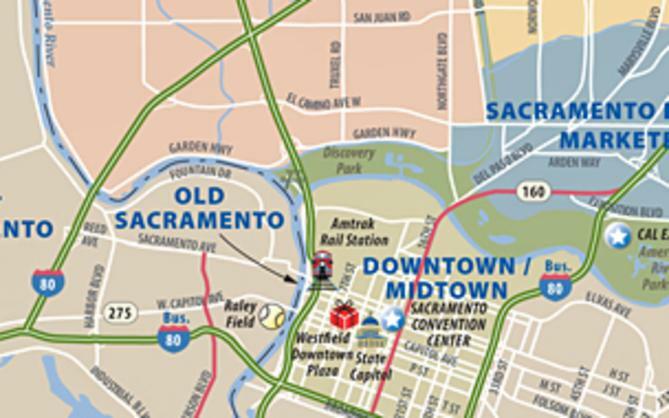 Before joining Visit Sacramento, Bradley worked at the San Jose CVB for eight years serving in various marketing communications capacities, and prior to that in retail advertising for a major drug store chain. She has a Bachelor of Arts degree from Pepperdine University and a Masters of Science from San Jose State University. She&apos;s a first-degree black belt in Tae Kwon Do and enjoys spending time with her family, going to baseball games, traveling and reading. Brandon Darnell came to work for Visit Sacramento as content marketing manager in 2012. He graduated from California State University, Sacramento, with a degree in journalism. He began his career as a journalist working for a local newspaper in Lincoln, Calif., before eventually coming back to Sacramento to work for an online daily news site. While there, he covered the arts, food and drink, business and local politics. Between jobs in journalism, Brandon moved to Paris, France, and spent time traveling as well as writing freelance articles for a variety of travel, auto and lifestyle publications. At Visit Sacramento, Brandon oversees blog design and content, the Visit Sacramento website, manages social media strategies, and creates and edits written, photographic and video content. 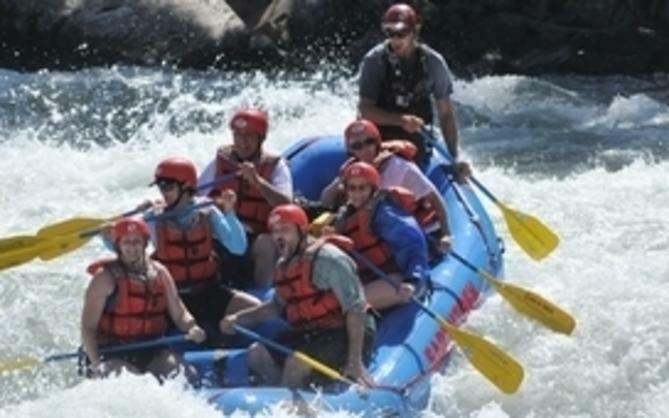 Matthew Guillory joined Visit Sacramento in 2011 as tourism content marketing manager. He is responsible for creating compelling content to support and develop the goals and mission of the Tourism department. He develops content for the Visit Sacramento website, blog, newsletters and other collateral materials used by the Tourism and Marketing departments to sell Sacramento as a destination for group and consumer travel. Matthew graduated from Loyola University New Orleans with a B.A. in Communications/Public Relations. In his spare time, Matthew enjoys traveling, food and movies. With a Bachelor&apos;s degree in Travel and Tourism from Brigham Young University, Alyssa&apos;s studies led her to the travel industry working as a travel consultant for several years. She now continues her career path at Visit Sacramento as the organization&apos;s Business Intelligence & Convention Marketing Coordinator - researching market trends, developing the monthly Market Intel Report, providing good fit prospects for the sales team, assisting with trade show logistics, and as a member of the social media team, contributes to the Visit Sacramento social media platforms and oversees the family and kids blog, sacramentokids.net. A resident of Sacramento for the past 16 years, Alyssa has always had a passion for this community and loves to share with others the rich amenities the region offers to residents and visitors. As a mom of two, Alyssa volunteers with her son&apos;s Cub Scout pack, likes to spend time with family and friends, and reads in her spare time. Joselyn began working at Visit Sacramento in 2013 as the Tourism Coordinator. At the time, the organization was switching to a new customer relationship management system that is better suited for destination marketing organizations, and she helped facilitate this process. Her interest in technology and ability to learn new programs proved useful, and she began instructing both Visit Sacramento staff and external partner organizations on how to use the system. In her current role, Joselyn is responsible for maximizing the overall functionality and use of the organization&apos;s technological platforms. Prior to her time at Visit Sacramento, Joselyn worked and studied in Germany and Sweden. She was also a travel agent for several years, and has seen more of the world than her own homeland. She has a BA in Psychology, an MS in Business & Economics, and an AS in Web Development. She enjoys a good book, a good crossword puzzle, a great beer, and finding subtle ways to annoy her cat. 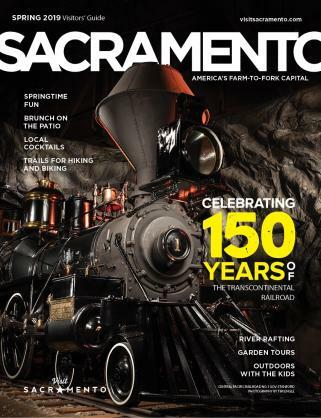 A Sacramento native with an undeniable passion for her city, Karlee Cemo-McIntosh found her niche as the Director of Sacramento365, a brand of Visit Sacramento that serves as the region&apos;s largest all-inclusive arts and entertainment resource. In her role, she manages the marketing, content, advertising and partnerships, along with overseeing a passionate team to ensure the region&apos;s arts, cultural, community, and recreational events are highlighted on the online calendar, partner calendars, blogs, and across social networks. Prior to joining Visit Sacramento, Karlee served as the Director of Marketing for a local law firm and managed the marketing for two start-ups. She has a Bachelor&apos;s degree from San Diego State University in Interdisciplinary Studies with an emphasis in Journalism, Sociology, Television and Film. Karlee is an avid sports fan, especially when it comes to all things Kings or SF Giants. She spends her free time with family and friends, exploring the Sacramento food scene and making the 15-minute walk to the Golden 1 Center to watch her favorite team play. Jamila B. Khan is the Content & Social Media Coordinator at Sacramento365, the year-round source for events for residents and visitors. At Sacramento365, Jamila works with the Marketing & Development Manager and a passionate team of interns to ensure the region&apos;s arts, cultural and recreational events are highlighted on the online calendar and across social networks. She also steps away from her computer and smartphone to attend and report on a number of these festivities on behalf of the organization -- a difficult task indeed. Prior to working at Visit Sacramento, she learned the craft of social storytelling as an editorial assistant at the Style Media Group and as an account executive at the Silicon Valley-based marketing communications firm Jennifer Jones and Partners. On the off chance that she has free time, Jamila can be found reading up on latest fashion trends and baking her famous Milky Way brownies. Emiliano Martin is a marketing professional and lifelong Sacramentan. In the past, he played both sides of the marketing and journalism fence with supporting roles at many staples in the Sacramento community, including Capital Public Radio, Visit California and Saint John’s Program for Real Change. With a bachelor’s in journalism from Sacramento State, staying informed on the latest happenings in the Farm-to-Fork Capital comes as second nature. In his spare time, Emiliano enjoys taking day trips throughout Northern California and taking part in the ever-expanding list of Midtown and downtown events with his friends, going on deep dives into the discographies of his favorite musicians, and can always be found with his camera at the ready. Steve is a graphic designer in Visit Sacramento&apos;s Marketing department. He&apos;s a sixteen-year employee of Visit Sacramento and has previous experience as production artist, graphic designer, desktop publisher, prepress operator and illustrator. Although his education is in graphic design he spends his free time as a fine artist and is a member of the art community in Sacramento.